Daniel, Shannon, Sylis, Te Wai, Harlem, Jeremiah, CJ, AJ and Mathias chose to make a movie to share their learning about Reduce, Reuse and Recycle. Well boys, a great job well using the green screen for the first time! Our movie turned out to be a phenomenal success. We all had fun and all shared funny movies. Our fails were the steps to success. I am so happy I got to star in this movie. I really enjoyed working with the crew. I am Greanne. A student at Karoro School in the South Island of New Zealand. I really like how you used a green screen to film. It was a great and unique way to present work. It looked fantastic and real. Also the acting was great. You caught my attention. How did you edit your work? Did you use Imovie? Our class has has never used a green screen. It would be very useful if you could create a document or presentation about how to use a green screen. How long did it take you to create this video? I think you choose a great topic because pollution is occurring all over the world and is effecting all of us and just knowing the basic things we need to do to help this world does make a difference. To improve your work you could add some sort of news like music to make a better feel that we are watching the news. Also it is a little difficult to hear so maybe you could speak a little louder. There is nothing else you one so good job. This movie that you guys have made is so creative and very cool. Your message that you guys are trying to get around about rubbish is incredible. I agree that there is too much rubbish in environment and yes we do need to do something about it. How long did it take to make this movie? 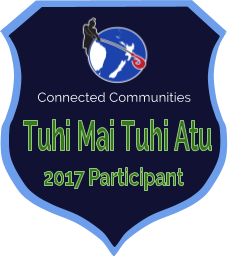 My name is Ocean and I am a year 7 student from Paihia School. I like how you have made a slideshow about the 3 rules Reduce, Reuse and Recycle. I also like that you have made it into a Breaking New show. 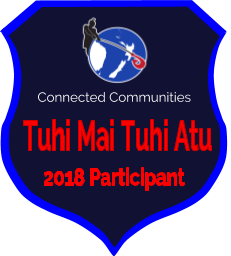 Kia Ora Daniel, Shannon, Sylis, Te Wai, Harlem, Jeremiah, CJ, AJ and Mathias, I really like your movie I think it’s cool, how you made a movie about rubbish and keeping the environment clean. Also how long did it take you to make the movie? 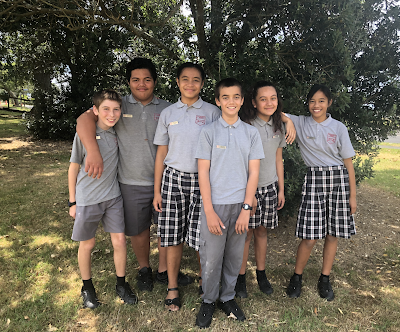 Kia Ora Daniel, Shannon, Sylis, Te Wai, Harlem,Jeremiah,AJ, CJ and Mathias, I really like the movie that you guys have made about reduce, recycle and reuse. It’s really good that you guys are really caring about the environment and about how , much rubbish is everywhere. Hi Panmure Bridge School, my name is Ngahuia I am a student from Paihia School. I really like Daniel, Shannon, Sylis, Te Wai, Harlem, Jeremiah, CJ, AJ and Mathias movie about keeping the environment clean. I like how yous guys used a green screen to make it actually look like you are in a news studio. I think that you guys were really creative with your movie. I think it is great that you are trying to stop the environment from becoming a big mess!! So excellent job on your movie!! !